Abóbora (Cucurbita spp.) is the generic name for pumpkin or winter squash in Portuguese. In Brazil, abóbora is a popular crop throughout the country. There are several varieties, as can be seen by the tremendous diversity in the above picture from a terminal market in Fortaleza (Northeastern Brazil). Brazilians will refer to all these different types as “abóbora”, similar to the way consumers in the United States will refer to different varieties such as “Howden”, “Racer”, and “Tom Fox” all as “pumpkin”. and is popular among the large Puerto Rican and Dominican communities and is therefore more accessible. As is the case with many crops in Brazil, there are tremendous regional differences. For example, abobora moranga exposícão is very popular in parts of the southern Brazil, but was not present at a terminal market in the Northeast. 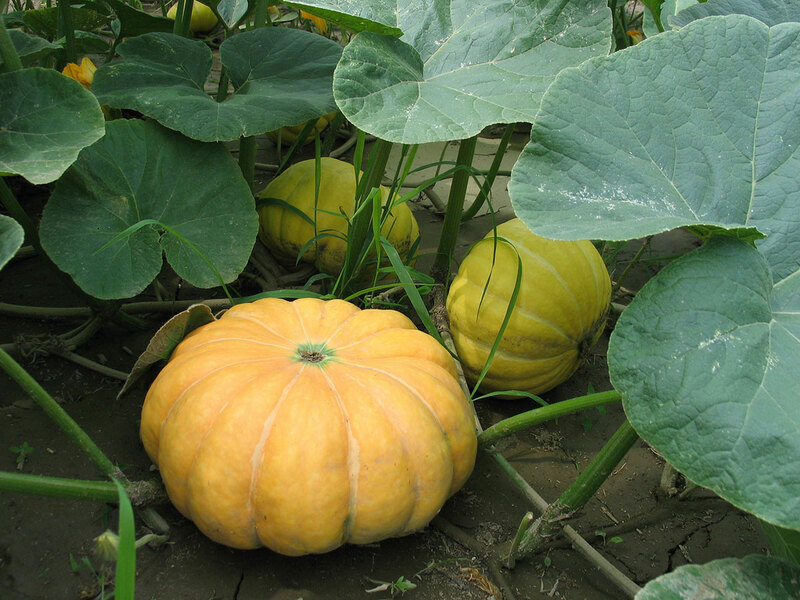 Production of abóbora will be the same as for winter squash and pumpkin. Refer to New England Vegetable Management Guide and click on "pumpkin and squash”.